In a joint statement issued on Tuesday, Apple and Samsung said they have dropped all ongoing patent litigation outside of the U.S., a move that could save both companies millions of dollars in legal fees from protracted court proceedings. The release, obtained by various press outlets and subsequently reported by the Financial Times, notes Apple and Samsung have agreed to a truce that applies to cases in Australia, France, Germany, Italy, Japan, the Netherlands, South Korea and the UK. Apple and Samsung have agreed to drop all litigation between the two companies outside the United States. This agreement does not involve any licensing arrangements, and the companies are continuing to pursue the existing cases in US courts. As noted, licensing agreements concerning infringed and accused-infringed intellectual property are not included in the ceasefire. Without such deals in place, there is nothing standing in the way of either company lodging lawsuits in new venues, though the undisclosed deal may contain clauses that restrict such behavior. By dissolving all international cases, Apple and Samsung will likely focus their efforts on two California court trials, both of which are now in the appeals phase. Apple was handed a pair of victories in its Apple v. Samsung court actions, with the first jury deciding on a verdict ultimately worth $120 million for infringing Apple's patents. The most recent development in California came last week when Apple dropped a cross-appeal that sought a permanent injunction against Samsung products found to be in infringement of certain IP. 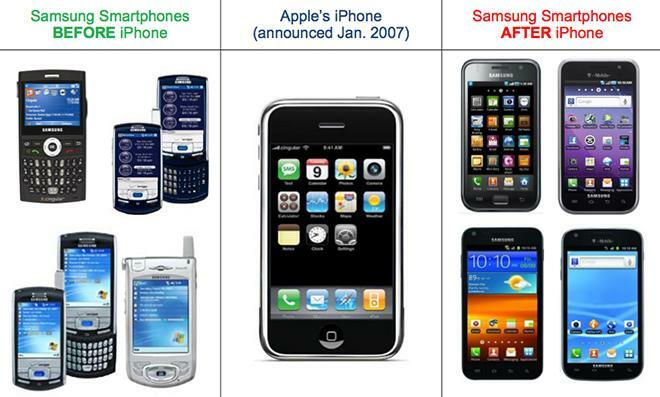 The companies' epic legal struggle began in April 2011, when Apple sued Samsung for copying the look and feel of its iPhone and iPad devices with multiple products including those from the flagship Galaxy lineup. From there, the patent war quickly spread beyond U.S. borders to include suits and countersuits filed in ten countries spanning across four continents. Today's news smacks of another recent high-profile peace treaty in which Apple and Google's Motorola agreed to drop ongoing lawsuits related to smartphone technology, vowing to work together on patent reform.